Unobstructed views of the waves, fishing boats, and passing whales? What better way to spend your vacation than to enjoy seeing all of these things all from one spot? Yep, you read it correctly! Here at Mandala Sands, you'll have the chance to see all of these things right from the comfort of the living room. Mandala Sands has three bedrooms and two baths, a fully equipped kitchen, an ocean-side deck & an electric barbecue. Bring up to eight of your favorite people because this place has the room for it! With three queen sized beds and a sleeper sofa, your entire family or group of friends are bound to want to stay with you here! Who could pass up a roomy beach house?! Did we already mention that it's practically seaside? The sand is at your feet! Hence, why we call it Mandala Sands. Step out onto the giant upstairs porch for a truly breathtaking view. Watch the sun rise and set over the vast expanse of waves, just a few steps away from this delightful house. Relax on the couch after a long day of beachcombing, and fall asleep to the sound and sight of the ocean, right outside the bedroom window. 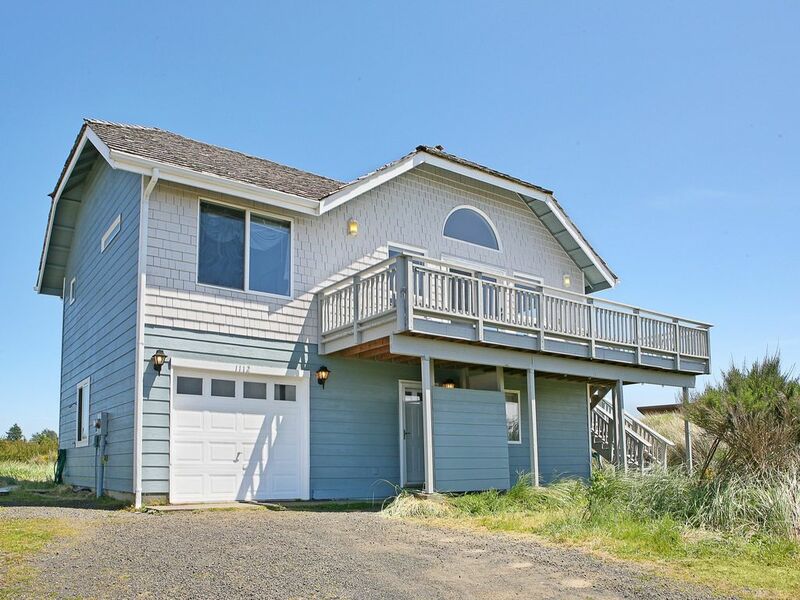 This is a very clean, highly functional home on a beach front street with unobstructed views of the Pacific Ocean. A short trail through the tidal grasses lead you to Westport's pristine 3-mile long sandy beach. Take the crab rings to the wharf and bring home dinner! This home has a fully equipped kitchen, making it perfect enough to whip up a morning breakfast to start the day or a late night snack when you're just too excited to fall asleep. The living area is filled with windows that allow you enjoy the stunning ocean sights you look forward to when dreaming of a vacation. Warm up in front of the fireplace and watch your favorite movie to end the night! Mandala Sands has a mounted flat screen that provides that home away from home comfort. Had a great time in this house with my family great location Easy to get to. Every Room was great, Including the kitchen which was well stock. This house was great. It had everything we needed or wanted in a beach house rental. The space was big enough so everyone could move around without bumping into each other. Having two living rooms really helped with the people that just wanted to read a book, the people who wanted to watch TV and the people who wanted to play games. The location to the beach - you could not do any better! It's a great house. What a great place to stay if you love the beach. So close to walk to. The view of the ocean was awesome from the living room and deck. It was a wonderful stay, it has everything you need and very clean. Westport Winery is also a great place to do a tasting and to have lunch or dinner. I would come back for sure. This is a wonderful location on a dead end street mere minutes walking from the beach. The main living area upstairs has a commanding unobstructed ocean view. At that distance, the sound of the waves throughout the night was soothing and restful. We would absolutely stay again. Awesome location and great house. My family of 8 stayed here for 3 nights and loved it. 3 bedrooms for adults and kids could crash on the couches. Everything was perfect and just as advertised. The information we received about the property arrived promptly, contained everything we needed, and was clear and comprehensive. The kitchen had everything we needed, and there was plenty of room to be comfortable and enjoy the gorgeous view.